A fine tree situated beside the former bishop's residence on the Bishopdale Estate. 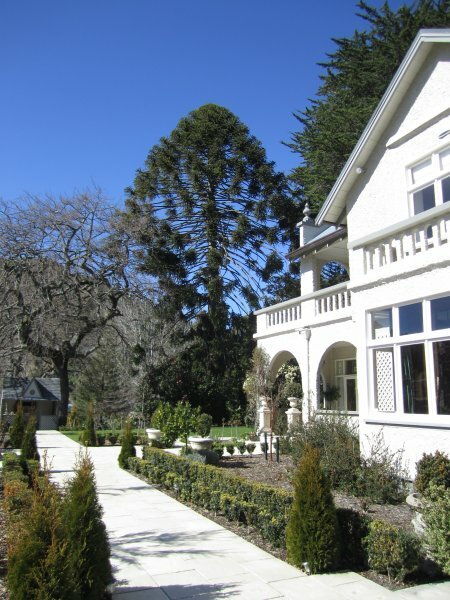 This Victorian homestead was originally built for Bishop Suter in 1925 and has now been beautifully restored to its former glory and is offered as fine accommodation called The Bishop's Suites. 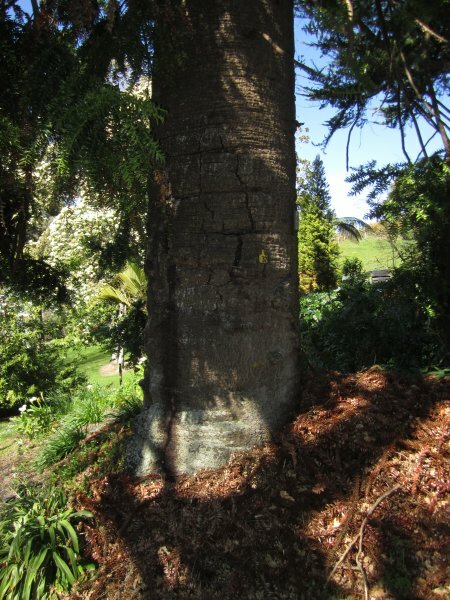 The tree appears to have been missed in early notable tree surveys of the area, although it was made mention of by Richard St. Barbe Baker in his 1969 book 'Famous Trees of New Zealand'. 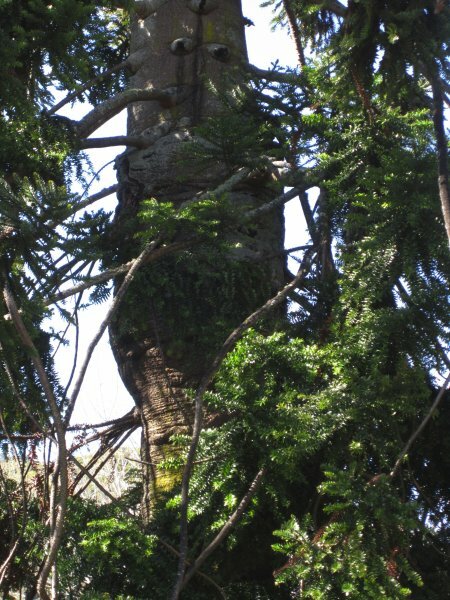 On page 140 the author remarks that 'there is a very large Bunya Bunya pine growing at Bishopscourt, Nelson' (Cadwallader, 2013). There is a large bulge on the main stem at 8m and fissures are beginning to appear on the lower stem. 05 Sep 2013 Cadwallader, B.G. On the eastern side of the former Bishops residence. No public access although the tree can be seen from the reserve below.